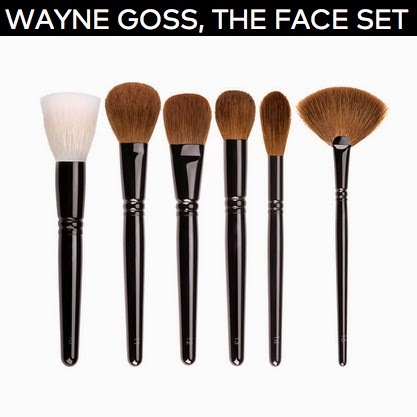 Created by international makeup artist and superstar YouTube beauty guru, Wayne Goss (aka the man himself), this brush collection is top notch no matter how you look at it. The cruelty-free brushes are made from un-cut natural fibers and handcrafted in Kumano, Japan, a region known for constructing makeup brushes for over 200 years. Each brush passes through the hands of 20 skilled artisans who use the finest materials like brass ferrules for holding the bristles and durable, sturdy hornbeam wood for the handles. 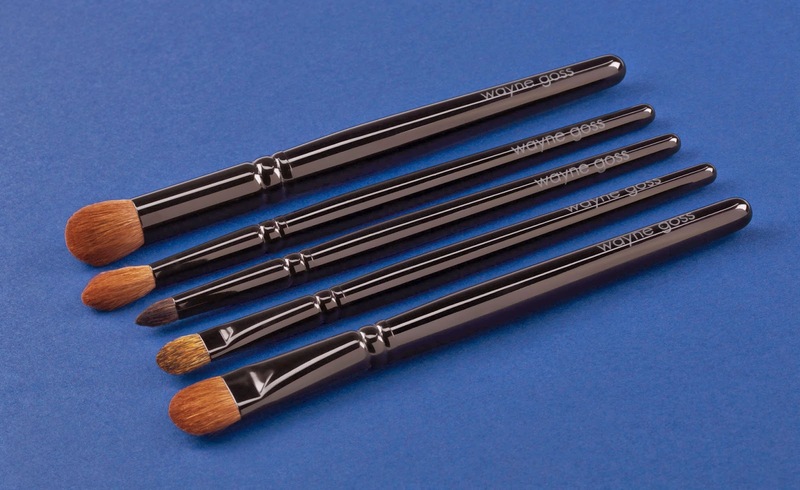 The Face Set brushes are numbered, instead of named, to encourage customization and individual artistry. Each brush is highly versatile and can be used for multiple purposes, though you're likely to develop your own favorite usage, like I have. I was lucky enough to preview and test out the brushes before they became available to the public and they've been the only face brushes I've picked up since. Here's how I use them for my daily face routine! Apply foundation using brush #10. This stippling brush is my favorite from the set and can be used for any liquid or cream foundation. The results: flawless, airbrushed coverage, perfect for concealing fine lines or enlarged pores. If I could recommend one brush from the collection, this is the one. P. S. Individual brushes go on sale this month! I'm wearing Ardency Inn custom coverage foundation in Light-Medium Olive, which also doubles as concealer. Seal the delicate under-eye area with loose powder using brush #14. This brush is super gentle and does not move existing makeup. It's also small enough for detailing areas around the nose and eyes. 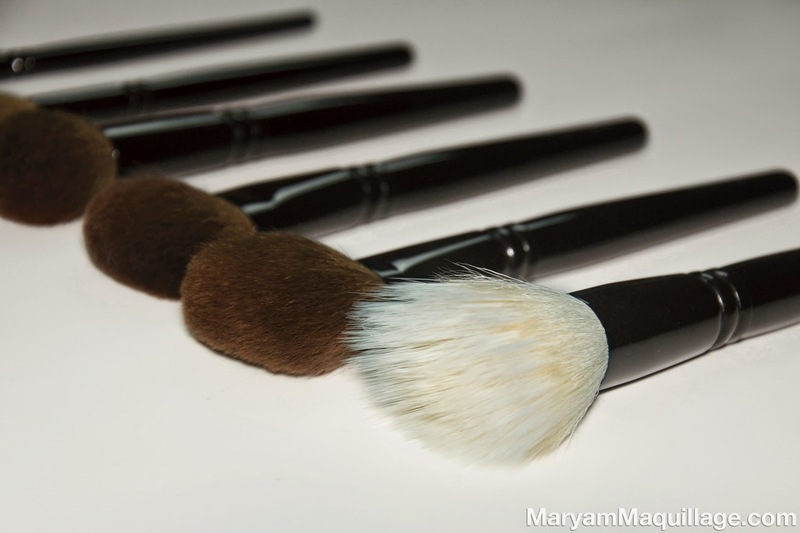 Seal the rest of your face with powder using brush #11. This brush is another must-have and can be used for any pressed or loose powder, as well as bronzer and blush. I love it for its size and versatility. With brush #12 apply matte bronzer to the contour of your face to add more dimension. Contour the forehead, sides of the nose and hollows of the cheeks for a slimmer look. Brush #12 is dense and flat enough for contouring and can also be used with shimmery bronzers to fake a tan. Highly recommended! Using brush #13, apply blush to the apples of your cheeks. I love this brush for its functionality and versatility. Along with powder usage, this kabuki-shaped small face brush is also great for applying mineral powders, liquid foundations and creams. Apply highlighting powder to the tops of the cheekbones and down the nose bridge using brush #15, an ultra soft fan brush that's perfect for highlighting. The thin width of the brush helps create a sharp line when highlighting the nose and cupid's bow. PRICE: At $265 per set, this brush set is definitely an investment, but I didn't call it the Lamborghini of face brushes for no reason. If you want the absolute best for your face and skin, this set is the one you should get, besides, the price is quite comparable to other high-end brushes if you break it down. 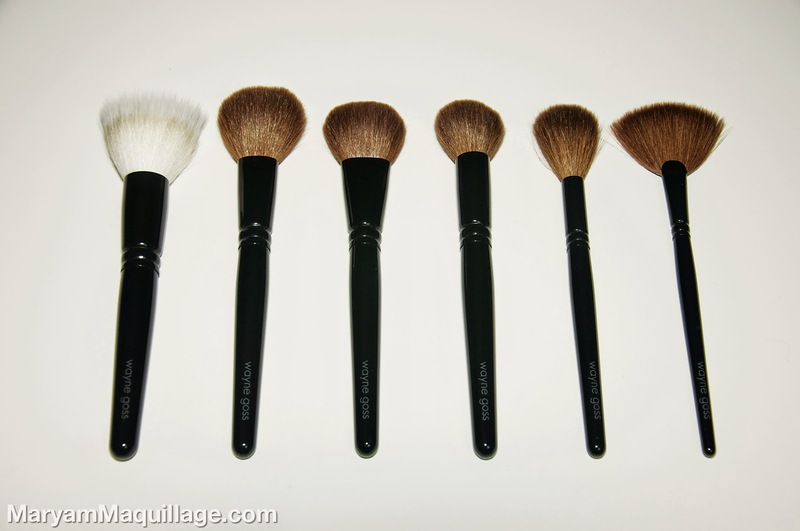 There are few brushes, however, that can compare to The Face Set in terms of quality. Moreover, if the price is still too steep, be patient, as these will go on individual sale later this month. Bonjour Maryam Ou peut-on acheter ces pinceaux pleaaasee ?